And YOU were excited to see Zelda back in game! 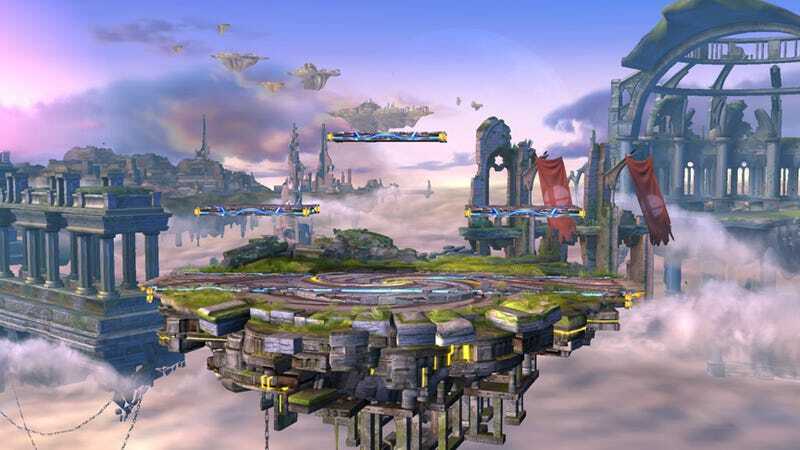 It appears Smash 4 will (surprise) feature the Battlefield stage. It will most likely be a stage for both the 3DS and Wii U versions. This stage has been transformed from it's mostly brick and morder broken down look to a more futuristic disc of power. Not to mention all those stages floating in the background. Can we play on those too, Nintendo? Can we!? Smash Shot of the Day will return on January 6th due to the fact that Nintendo is holding off on any pictures for the next week.